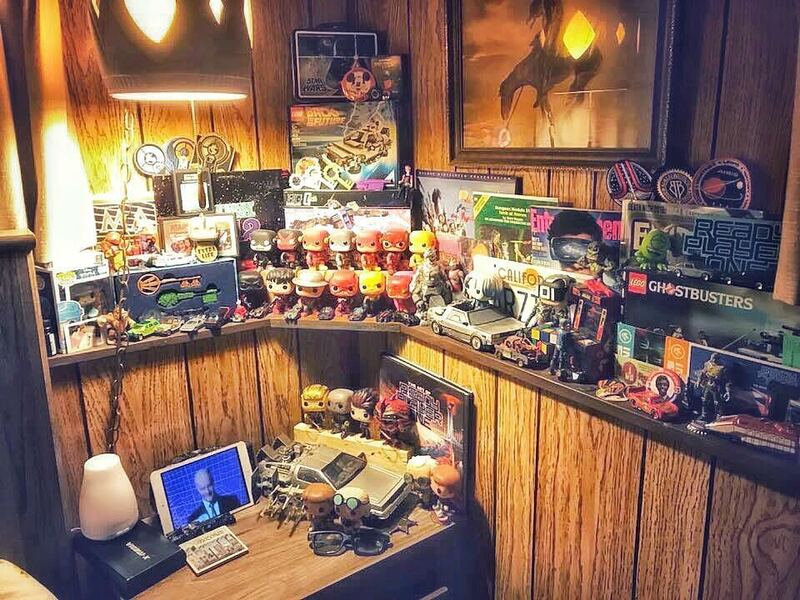 This week’s collector is Kyle J. He is talking about how he became a collector. He gives us his origin story and how finding a box of childhood memories sparked his interest in collecting. My collection really started when I stumbled upon a box in my grandparents garage it contained a few small treasures from my vacations to Disneyland as a small child. I wanted to make shadow box featuring the items. But once assembled it was lacking something, so I made a few eBay purchases to pump it up. As a film major I always had a love for movies and pop culture I collected movies reaching the high thousands while i was in college. A few years later I read “Ready Player One” by Ernest Cline and thats when things really took off, not only did it rejuvenate my love for items from my youth but also my love for reading. So I began buying up items featured in the novel, digging through book stores for some classics and finding items that would relate to those books. 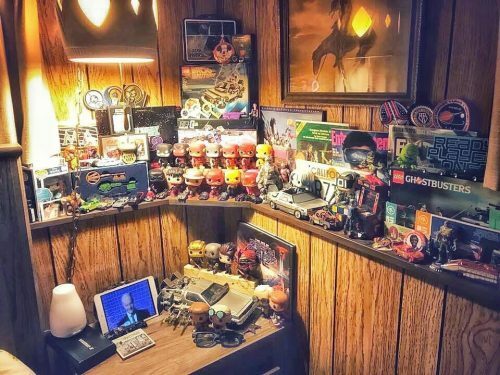 Now I love seeing other collections posted in the geekdads group and see if it may inspire the next chapter of my own collection. Thanks for sharing Kyle. I can relate with reading Ready Player One. My fellow geek and Geek Show co-host Patrick Quinn told me about Cline’s book and I instantly went back to my childhood with all of the 80’s references. You have a fantastic collection.